Some botanists believe the almond is a prehistoric hybrid of unknown Origin Countries. It is closely related to the peach, the plum and the apricot and may have originated somewhere in Turkey, having been found in Bronze age sites, between 3100 and 1100 BC in Turkey and Greece. Now, the Unites States’ seventh largest food export, Almonds are used in confectionery as well as marzipan production which is an almond based sweet paste, copied by the Crusaders returning from the Holy land between the 11th and 13th Century. Almonds are high in Vitamin E and calcium. 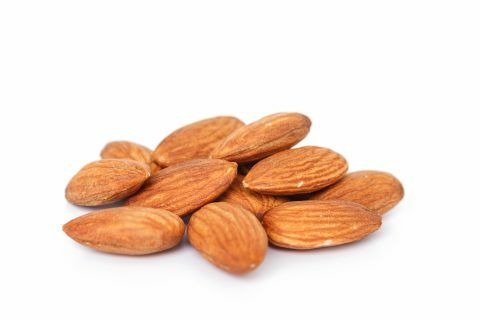 20% of the almond is protein and its fats are polyunsaturated containing high amounts of linoleic acid, they are also rich in calcium, iron, magnesium, phosphorus and Zinc.